The search for Artificial Neural Networks (ANNs) that are effective in solving a particular task is a long and time consuming trial-and-error process where we have to make decisions about the topology of the network, learning algorithm, and numerical parameters. To ease this process, we can resort to methods that seek to automatically optimise either the topology or simultaneously the topology and learning parameters of ANNs. The main issue of such approaches is that they require large amounts of computational resources, and take a long time to generate a solution that is considered acceptable for the problem at hand. 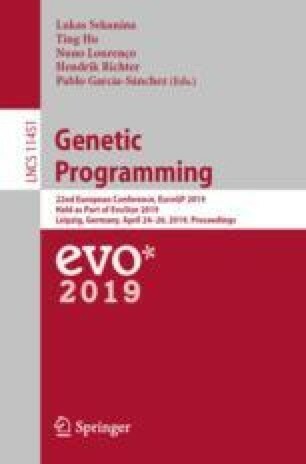 The current paper extends Deep Evolutionary Network Structured Representation (DENSER): a general-purpose NeuroEvolution (NE) approach that combines the principles of Genetic Algorithms with Grammatical Evolution; to adapt DENSER to optimise networks of different structures, or to solve various problems the user only needs to change the grammar that is specified in a text human-readable format. The new method, Fast DENSER (F-DENSER), speeds up DENSER, and adds another representation-level that allows the connectivity of the layers to be evolved. The results demonstrate that F-DENSER has a speedup of 20 times when compared to the time DENSER takes to find the best solutions. Concerning the effectiveness of the approach, the results are highly competitive with the state-of-the-art, with the best performing network reporting an average test accuracy of 91.46% on CIFAR-10. This is particularly remarkable since the reduction in the running time does not compromise the performance of the generated solutions. This work is partially funded by: Fundação para a Ciência e Tecnologia (FCT), Portugal, under the PhD grant SFRH/BD/114865/2016, and the project grant DSAIPA/DS/0022/2018 (GADgET), and is based upon work from COST Action CA15140: ImAppNIO, supported by COST (European Cooperation in Science and Technology): www.cost.eu.